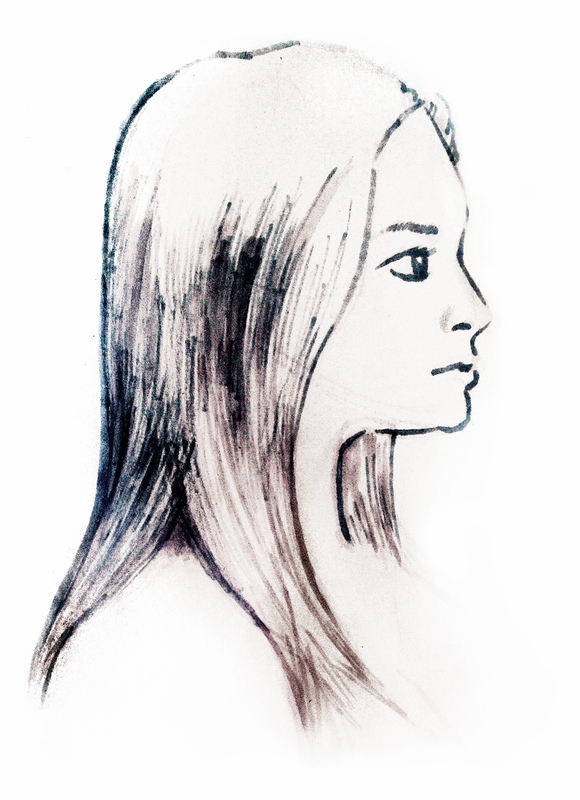 I always truly believed that profile drawings were extremely difficult to do. I would choose 3/4 perspectives over a profile shot anyday because I couldn’t understand how to make them look right. So I’ve been attempting them in my figure drawing class. I think I finally got a good one out of it. One of these days I’ll have my own scanner, maybe a large format one as well so that I don’t have to take crappy photos and edit the crap out of them. This entry was posted on 04.14.2011 by Ryan M Paxton. It was filed under Artwork and was tagged with anatomy, drawing, female, figure drawing, marker, sketches.